After 16 years of practice, Steven Mavros, L.OM wanted patients to have a simple and affordable option to experience the benefits of Acupuncture. One where they could just walk right in, get a great treatment and then get on with their day. We are happy to offer community based acupuncture at both our Rittenhouse and Exton locations. WHAT DOES "COMMUNITY" ACUPUNCTURE MEAN? Acupuncture can be done anywhere, but it's most frequently done in a private room with a closed door. Community acupuncture is done in an open room, where patients get treated together on tables or in chairs. Because we can treat more people at once, we are able to charge less than our private-room acupuncture. If you would like a private room with 1-on-1 attention to talk and get treated, we recommend visiting one of our sister offices. 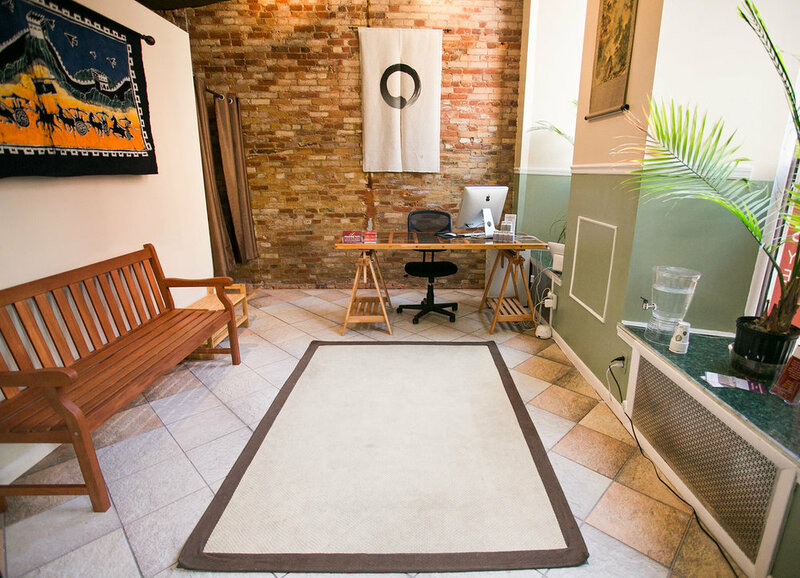 We are unable to process insurance at our community acupuncture offices.